IBM Watson Health (NYSE: IBM) and Quest Diagnostics (NYSE: DGX) today announced the launch of IBM Watson Genomics from Quest Diagnostics, a new service that helps advance precision medicine by combining cognitive computing with genomic tumor sequencing. Memorial Sloan Kettering Cancer Center (MSK) will supplement Watson’s corpus of scientific data with OncoKB, a precision oncology knowledge base to help inform precision treatment options for cancer patients. 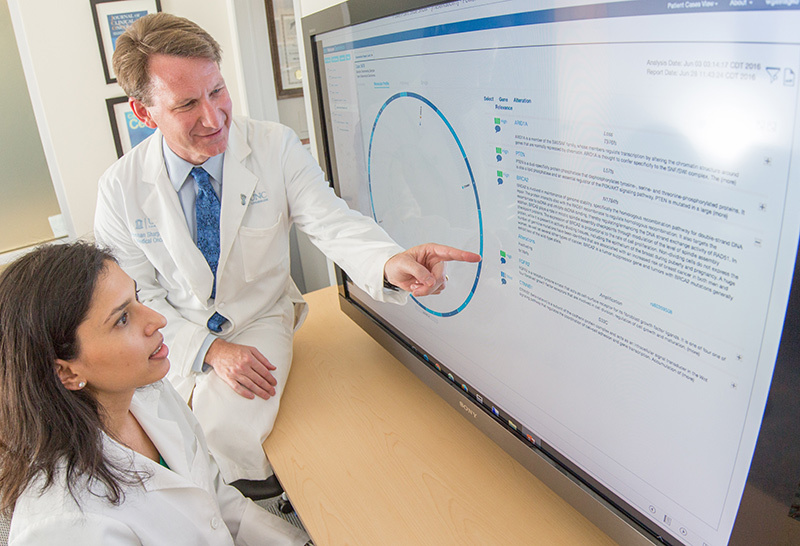 The launch marks the first time that Watson for Genomics has been made widely available to patients and physicians across the country. Quest Diagnostics, a leader in genomic sequencing and oncology diagnostics that serves half the nation’s physicians and hospitals, extends these advanced capabilities to thousands of the country’s community oncologists, who provide an estimated 70 percent of cancer care in the United States. The Broad Institute of MIT and Harvard will provide additional genome sequencing capabilities as part of the collaboration. The new service involves laboratory sequencing and analysis of a tumor’s genomic makeup to help reveal mutations that can be associated with targeted therapies and clinical trials. Watson then compares those mutations against relevant medical literature, clinical studies, pharmacopeia and carefully annotated rules created by leading oncologists, including those from MSK. Watson for Genomics ingests approximately 10,000 scientific articles and 100 new clinical trials every month. The new service helps close these gaps: To access Watson’s evidence-based report, the treating oncologist or other physician will send a patient’s solid tumor biopsy tissue to Quest Diagnostics, where pathologists will prepare the tissue sample for genomic sequencing. Scientists at Quest will then sequence the treatment-associated genes using advanced next-generation sequencing technologies and feed the genetic file into Watson. Watson will then use the sequenced genetic data and compare those data against massive bodies of clinical, scientific and pharmacological databases to help uncover potential therapeutic options that match the patient’s tumor mutations. A Quest pathologist will review and validate the results and prepare a report to send back to the treating physician.